After spending a lovely summer day/engagement shoot traipsing around beaches and salt marsh with these two charming ecologists in love, I came to suspect that they might have amazing friends and family, and that their Earth day Wedding could potentially be a lot of fun. Even with the intuition, I was totally overwhelmed with the sheer level of awesome. Having spent the last few years completing their respective PhDs apart, Marc and Enie returned to Florida, in a coastal landscape similar to where they first met as students, to seal the deal and embark on a life of love and post graduate research in the Bahamas. The Wedding was so reflective of their thoughtful ecologically minded selves, but also entirely homey and laid back. 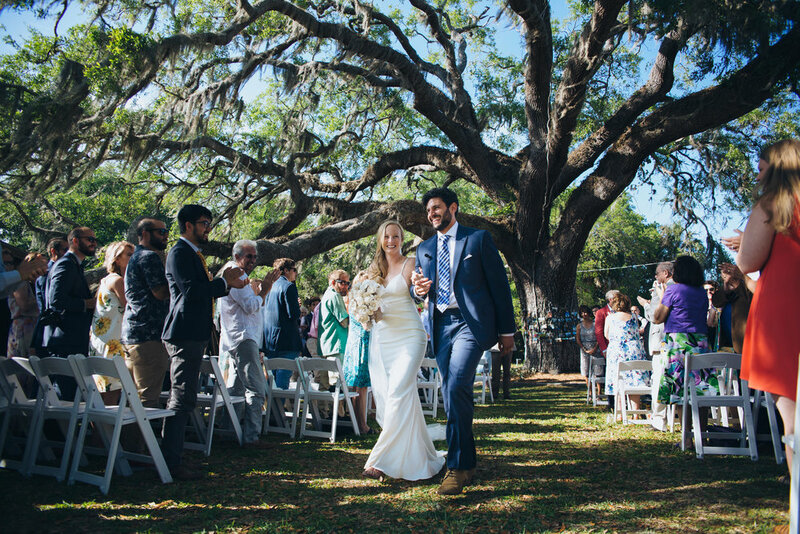 From the charming rustic venue of the Rod and Gun Club tucked along the intracoastal, to the folksy low country boil -- the amazing live music, yard games, Bahamian dancehall, and all around incredible guests, the wedding was one for the books and exactly what Marc and Enie had planned. Below are some highlights from that incredible day.